Another short and sweet post today as I’m off enjoying the sunshine. 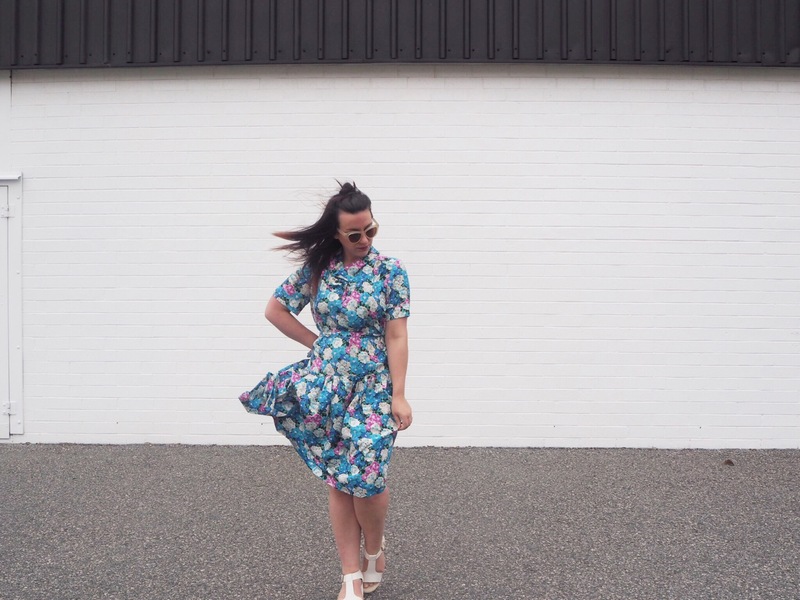 And this dress is perfect for shiny happy weather! 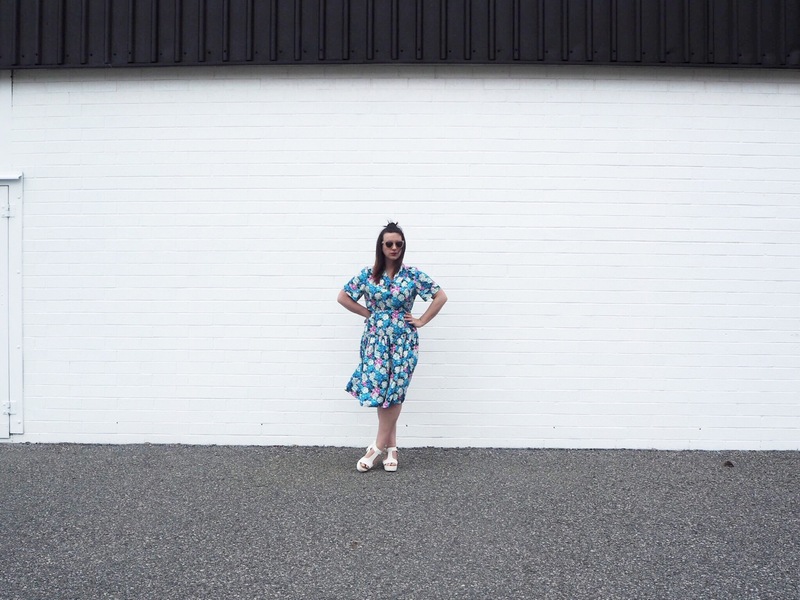 I found this bright and vibrant drop waist vintage frock at Anglicare Op Shops recently and while the print is very loud, I just couldn’t walk away from it! As I mentioned in a previous post, I love a good vintage treasure, and this frock definitely has a story. I will admit I did cut out the extra large shoulder pads but that is all I had to do to make the dress my own. 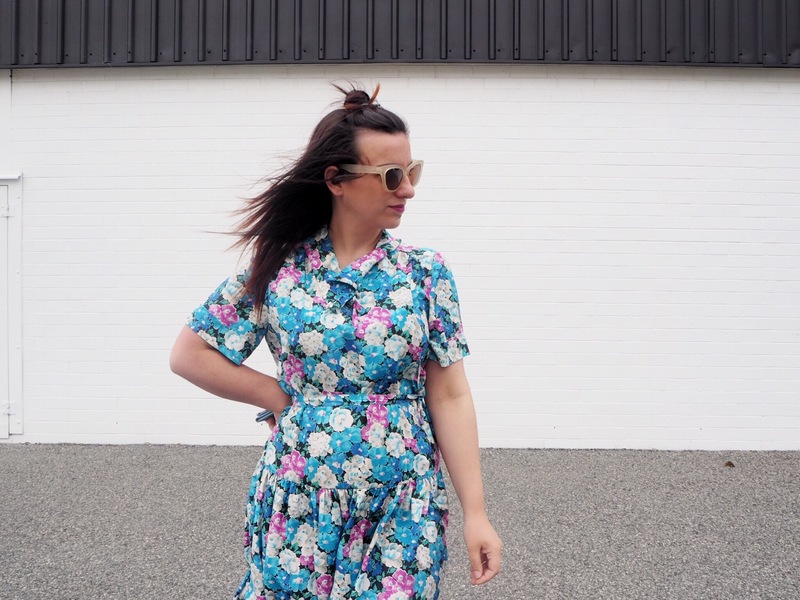 I’m a curvy girl, so I really didn’t think a drop waist dress would suit me, but this frock actually came with a matching waist belt to break up the frock! Now I know I can wear a drop waist with confidence as my smallest area of my body is still a feature! Now why am I in another divine frock? My 13th frock in a row (and some)? For Frocktober of course. Frocktober is a philanthropic campaign accessible to all Australians passionate about women’s health. All funds raised are distributed as scientific grants to dedicated ovarian cancer researchers in Australian and New Zealand hospitals, universities and research institutes. Through these vital research efforts, the ultimate aim of the OCRF is to develop an early detection test for ovarian cancer that is both non-invasive and cost effective, so it becomes a habitual part of every women’s regular health check-up regimen along with mammograms and pap smears. The OCRF is not government funded for their research, so they need all the support they can get! 1. 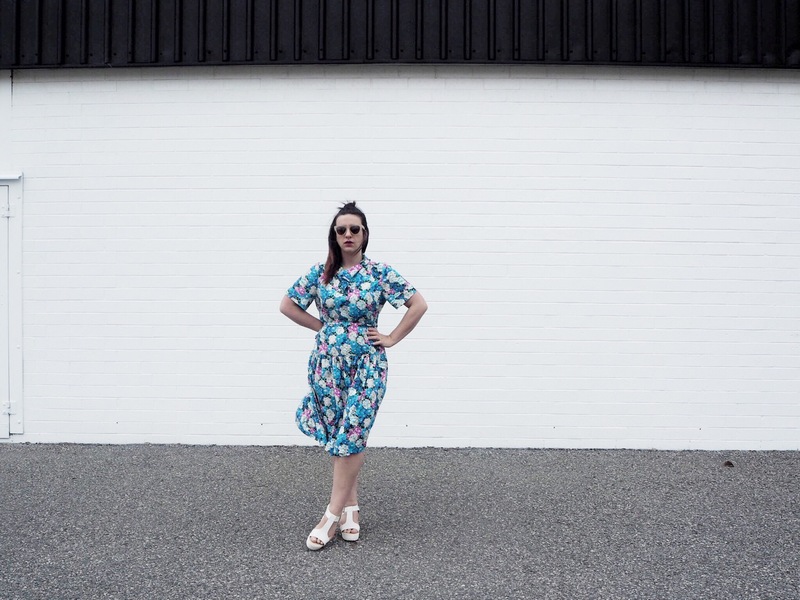 Have you donated to Frocktober yet? If you want to donate to the OCRF click here. I would really appreciate it. 2. Are you in Perth on October 22? Are you free? Well you’re not now! You must attend our Frocktober Fashionable Afternoon Tea. Tickets are only $15 with proceeds going straight to Frocktober. All the information and tickets can be found here! Enjoy the sunshine friends! I know I am! Are you an 80s fashion fan? I’m obsessed with the print !